CONDITION: Missing some paint on the membrane. Foam not aligning 100% with screw holes. 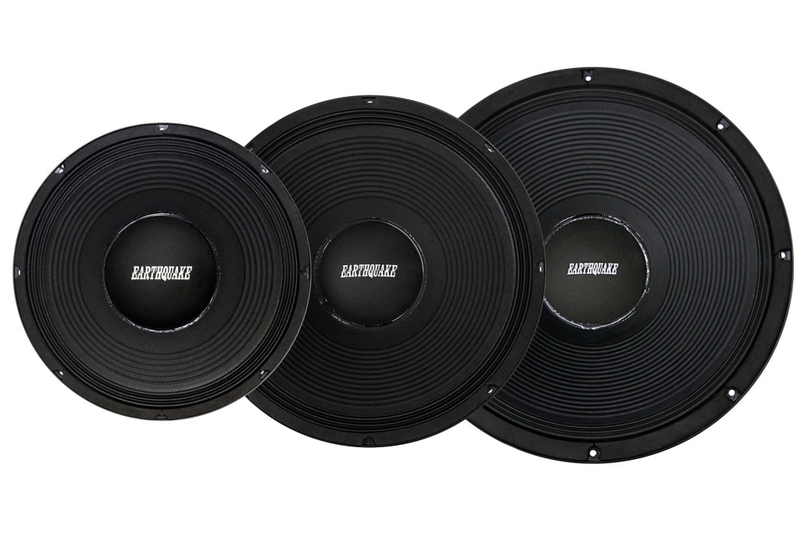 Pro-X is the line of high sensitivity wide-band professional woofers from Earthquake Sound. Built with the accumulative knowledge and expertise gained from manufacturing industry defining woofers for 30 years. Pro-X is proof positive that the combination of high performance and superior value is possible! 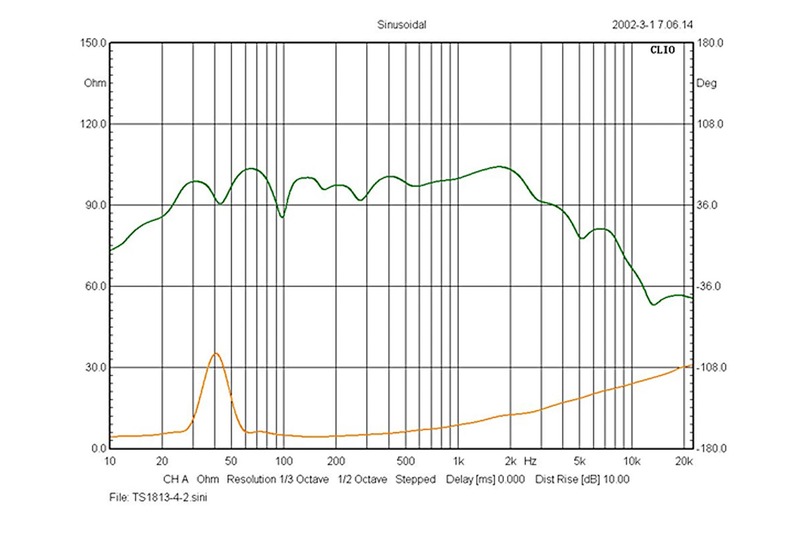 For years its been our analysis that the pro woofer market has a huge split between performance and value. 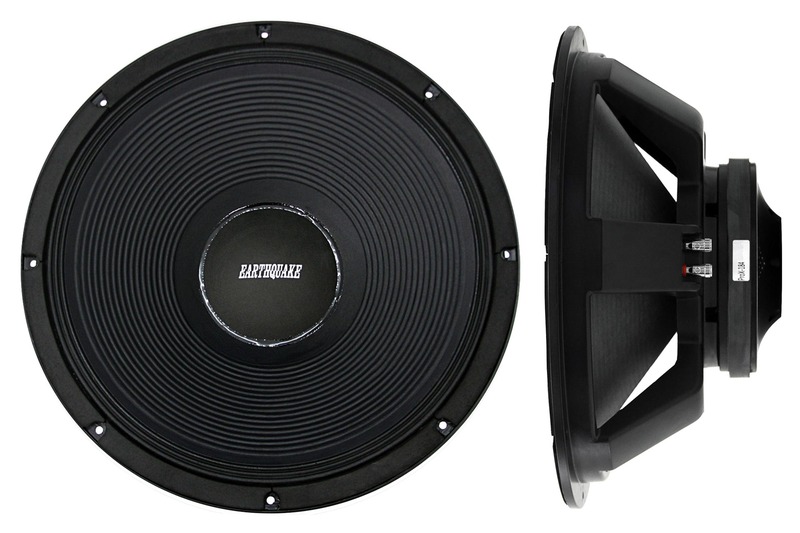 The leading brands build $1500+ starship woofers and an almost unending slough of no-name brands flood the market with cheap, but essentially worthless woofers. We offer Pro-X as the meaningful solution. Providing near enterprise level performance at less than a third of the cost. Typically when designing a statement product its an exercise in the use of exotic materials and blatant disregard for the cost as a way of infusing exclusivity into the product. 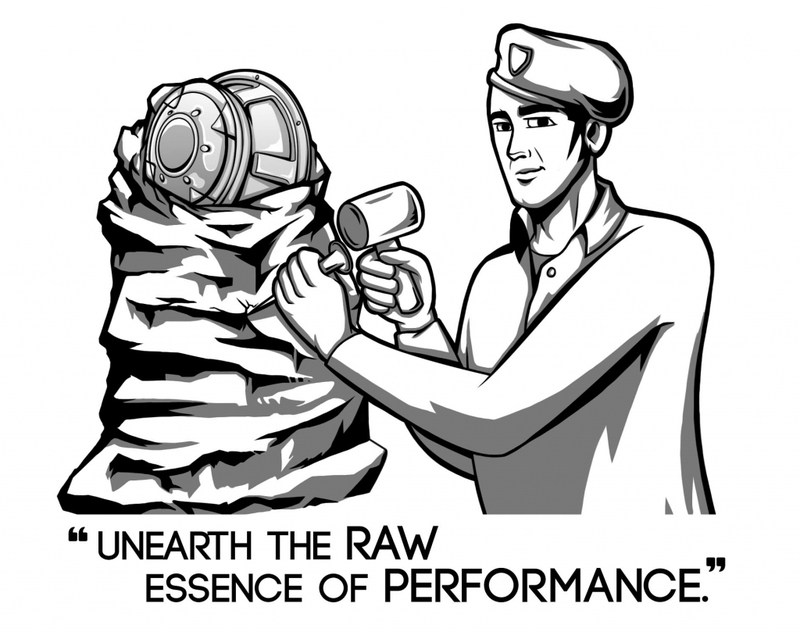 With Pro-X the goal was just the opposite - chip away all non-essentials and unearth the raw essence of performance. During this process we developed several technologies and design attributes that would come to be essential for the final product. 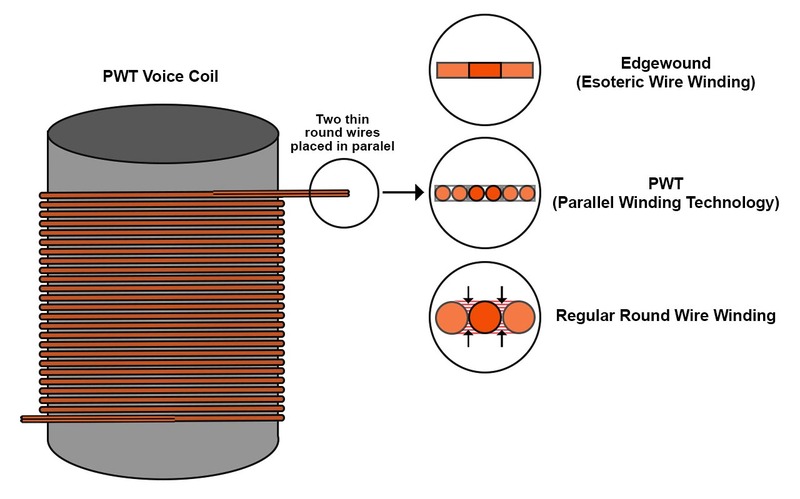 The PWT (Parallel Winding Technology) voice coil is a quite simple but effective method for approaching esoteric edge-wound voice coils in efficiency and thermal durability. Ordinary voice coils are wound with a single wire applied to the former x number of turns. The PWT coil uses two thinner wires applied to the former in parallel (wound side by side) x number of turns. This significantly increases surface area for improved thermal rigidity while keeping the same impedance as if regular single strand wire had been used. At a fraction of the cost of edge-wound, the PWT voice coil is instrumental in keeping the price down and performance up. The brute magnetic force in the Pro-X is supplied by an oversized ceramic magnet. 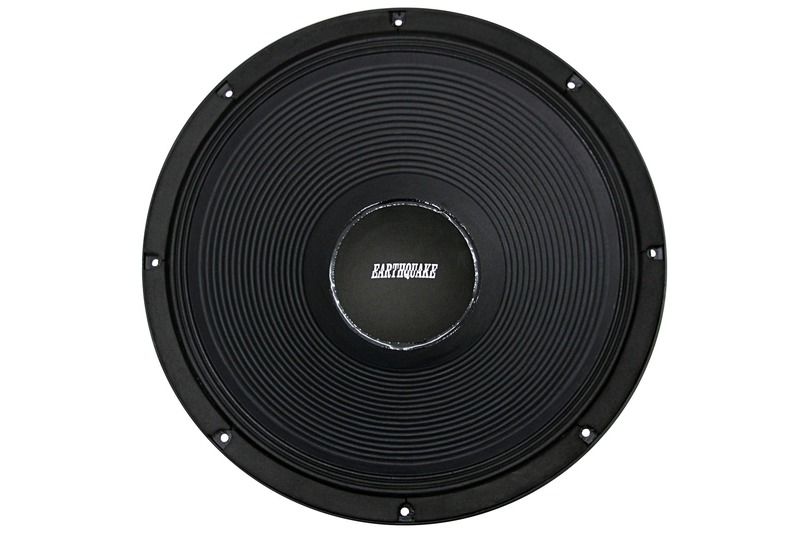 This high Gauss magnet concentrates immense magnetic flux on the voice coil resulting in stellar efficiency and tight chest slamming low frequency response. Designed with a bumped back extended pole piece for added excursion potential. This also protects the voice coil from bottoming out in case of transient overload. Any seasoned pro audio tradesman will recognize the chassis and smile. Yes it is 30+ years old, but from a performance viewpoint - a better one has yet to be made. Although designed as a pro audio woofer, it can be used in both home and automotive solutions with great success. It can be used in any application where large amounts of low distortion, wide-band acoustical power is needed. It is ideal for use in small sealed and ported enclosures as well as bass and mid-bass horns. 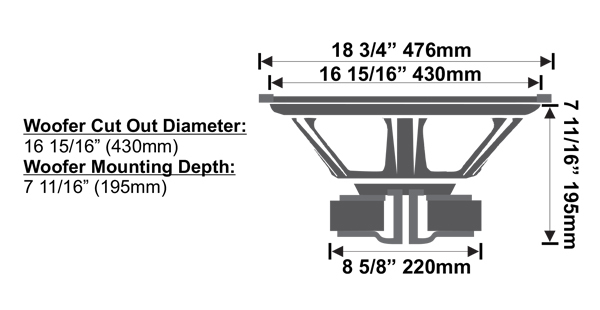 Featuring a very shallow mounting depth the Pro-X can be used in specialty form factor systems. Built from the ground up with the fundamental elements that makes a product distinctly Earthquake - Power, Performance and Quality. Pro-X offers amazing performance at an unparalleled price. It is our sincere belief that the combination of price, performance and quality makes the Pro-X the best in this category on the market today. For 3 decades Earthquake has been designing and manufacturing top quality audio equipment. The Pro-X is no exception to this ledger of excellence. We are certain they will provide many years of faithful service. Pro-X features the L-RAE (Large Radial Air Emitter) cooling scheme, and is the first Earthquake product to do so. 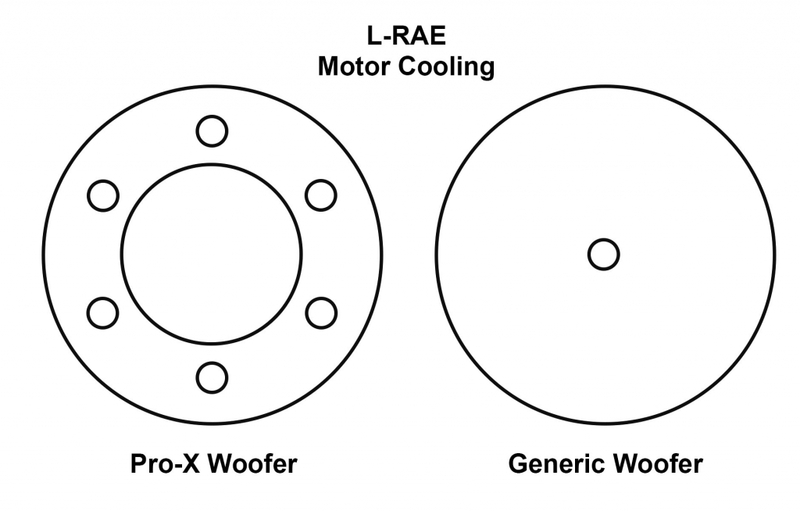 We had intended to use our patented TCT (Turbine Cooled Technology); however, TCT was developed for heavy, long stroke woofers and was not ideal for the quick, taunt and agile characteristics of the Pro-X woofer. L-RAE is comprised of large unrestricted passages offering zero resistance to the moving air. 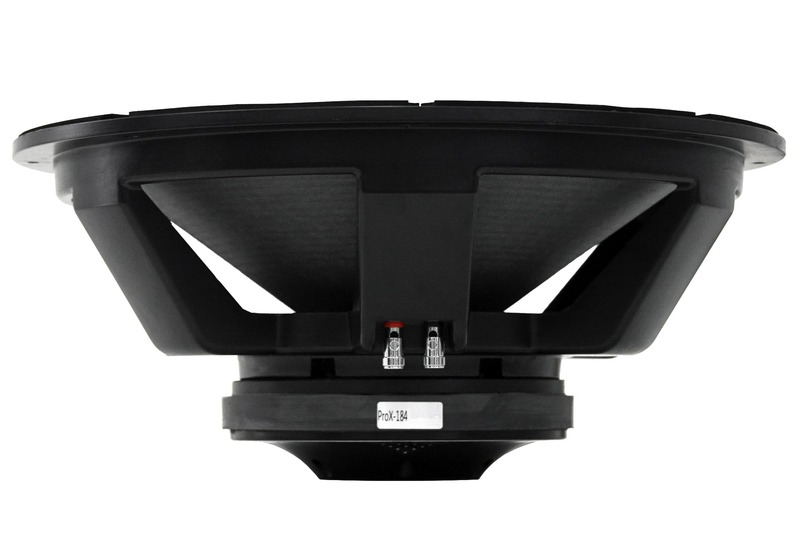 A large drilled out pole piece with above spider side venting channels is combined with oversized radial cooling passages, matching the diameter of the voice coil. 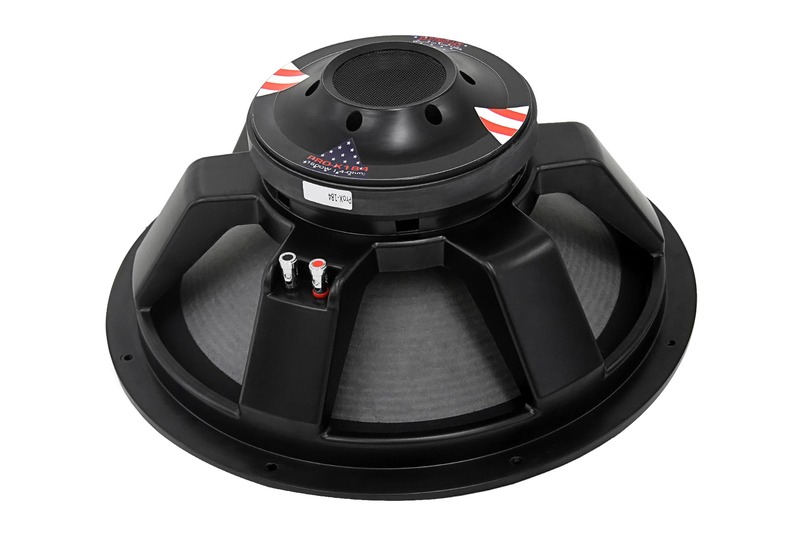 This efficiently transports air around the voice coil and reduces the air resistance on the moving voice coil itself. The result is a remarkably capable cooling system that compared to a traditional pole venting scheme, reduces temperatures by 40 percent. All without adding acoustic artifacts or cost to the equation. How long does it take to break-in my woofer? Break-in for woofers in general is considered as 20 hours of music program at 1/3 of the maximum RMS rating of the speaker. After that it is considered broken-in. Very minor changes will still occur after this up to about 100 hours of use, where after no further changes are measurable. 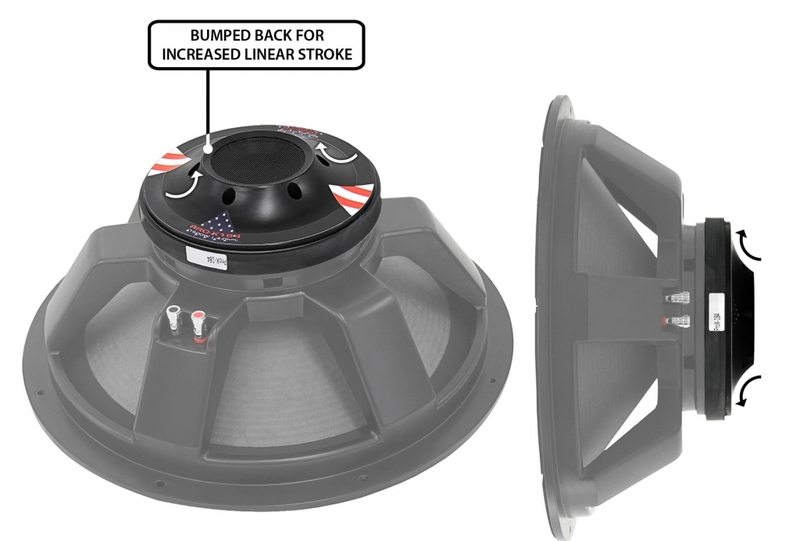 By breaking-in the speaker over time like this assures that all parts of the suspension stretches equally which will give you long linear travel and optimum lifespan of the woofer. Warning: If maximum wattage is exerted to the woofer right out of the box there is a chance that a part of the suspension will overstretch and become damaged.